The week will start with the fundamentals of classic and skating. Each day the lessons will be broken down into small and simple steps which produce a greater level of progress in classic and skating. For those who wish we have the option to take part in a local ski race a little further down the valley from Obertilliach. This race is always fun, and with only a few hundred taking part and good way to experience racing for the first time. 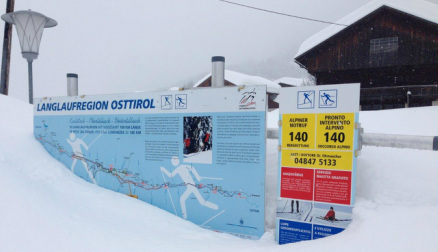 Obertilliach has a world class cross country ski hire, situated at the cross-country ski stadium, the village also has a second shop with a good selection of clothing, and ski equipment.